If your Canadian company has international offices, your insurance needs are multiplied. We can help you, with worldwide coverage through our global master insurance program. 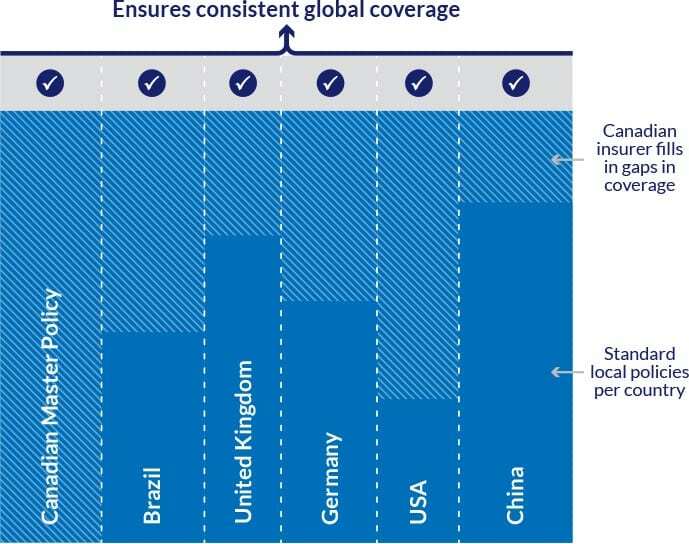 Global master insurance is coordinated with locally issued insurance and includes Difference in Conditions (DIC) and Difference in Limits (DIL) coverage. 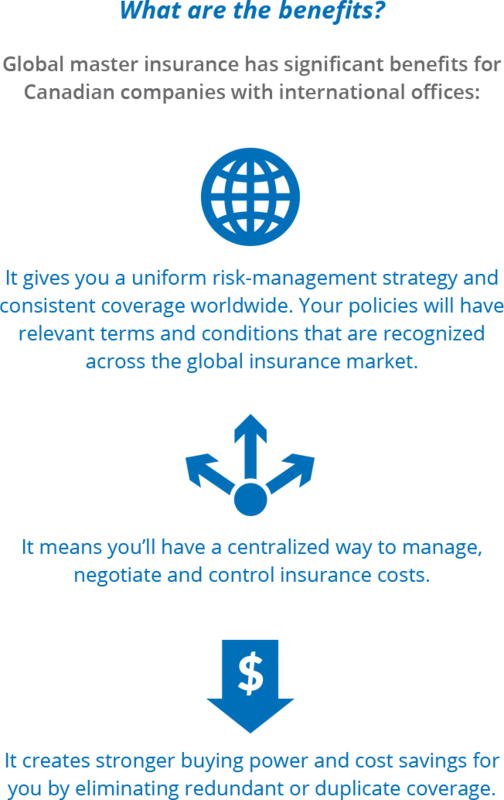 Global master insurance offers uniform coverage for risks in multiple countries, negotiated and managed in Canada by Mitchell Sandham. Your local policy will be issued by a locally licensed insurance company that is working with an international insurance company. The policy will reflect, at a minimum, “Good Local Standard” coverage that meets local laws, taxes and regulating language. You will also have a Canadian global master insurance policy to cover Difference in Conditions (DIC) and Difference in Limits (DIL). This ensures that the local policies mirror Canadian coverage. When you make a claim for an overseas facility, local adjusters may be used, depending on the location and type of claim as well as claims control and direction by the global master insurer.